It's been my general notice that the smaller the miniature in question, the larger scale battle that the figures are used to fight out. So while you could play with a small skirmish force consisting of 6mm models, it seems like that's just not what most people are wanting to do. 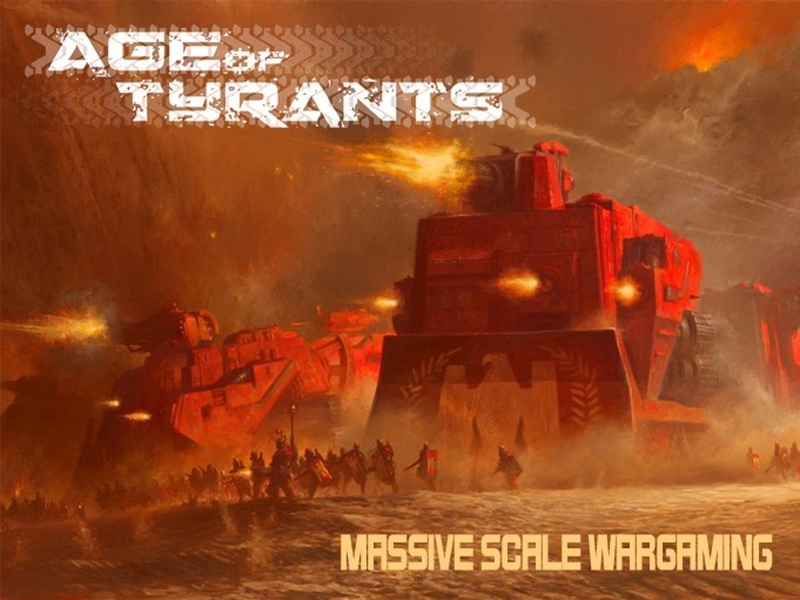 They want those huge battles with massive armies of tanks and infantry and artillery and all that fun kind of stuff (I remember watching games of Epic 40k played on 8'x8' tables in order to accommodate all the figures). Well, if that's what you want, then Age of Tyrants is for you. The new sci-fi miniatures game is up on Kickstarter now. The initial launch of the game comes with four factions to choose from, each with slightly different play-styles. Models fit onto a standardized 50mm square base. Four bases form a platoon and four platoons make a company. That company is the basic starting size for the game. After you get your feet wet with that, you can then dive on into something deeper. Stretch goals include all sorts of specialized units such as recon, snipers, airborne units, tank hunters, and such like that. They're planning an online army-creation tool to help you build your forces. The campaign just launched and is quickly rising up the numbers towards funding. They're set to run for another 28 days.